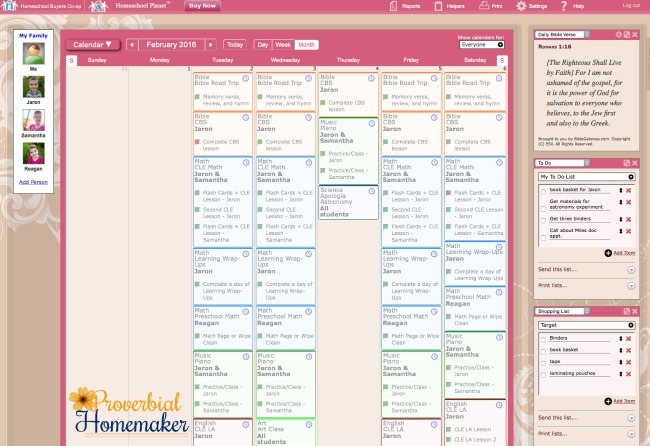 An Online Homeschool Planner You’ll Love! I have never been one for digital planners. I’m not sure why, as I’ve always definitely been a digital gal, in general. Our family calendar is online, I do a lot of work online now, my husband is in the tech industry, and I was as well before coming to stay home with my kids. Still, that whole effort of remembering to open my computer and launch the planner seemed insurmountable (I’m lazy like that). On the other hand, my paper planners weren’t working out for me too well, either. I would put so much effort into setting up lesson plans only to abandon them a week in or have to change everything manually to get back on track. SUCH a pain. When I had a chance to try out Homeschool Planet, the online planner from the Homeschool Co-Op, I decided it was definitely worth a shot. I had heard so many good things about it and, well, what I was doing wasn’t working out so well anyway. 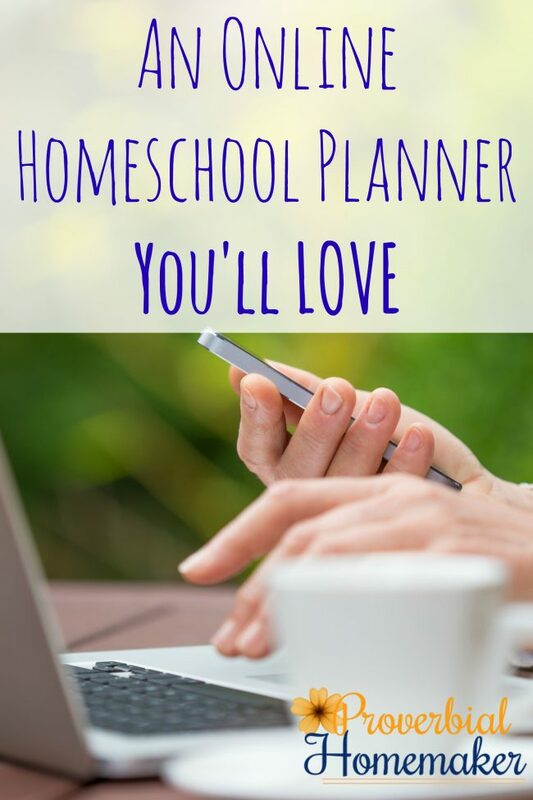 Of course, my plan all along was to share with you an inside peek at Homeschool Planet, pros and cons, and give you my bottom line on this digital planner. What Can Homeschool Planet Do? 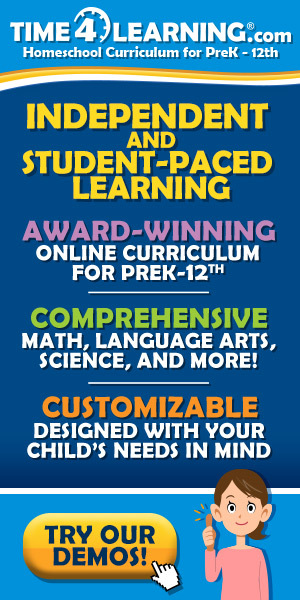 I was really surprised and impressed at how much Homeschool Planet could actually do, as well as all the ways you can customize it to your needs and preferences. That alone makes it worth the cost. No more forcing a planner to fit your needs or just making due. You really can do almost anything to customize Homeschool Planet for YOU! I went in right away and set up my students. You can add a photo, basic information, their grade, whether or not to send them a daily or weekly digest, track their attendance, and set up a separate login if you want. That’s just one tiny little feature! You can also set up classes, appointments, chores, and other events for each child. I usually stick with the calendar view because that’s what I’m used to and it suits my needs. I was able to set up classes and recurring lessons easily, which was very helpful for me! One of my biggest gripes with paper planners is having to input the same information over and over. This eliminates that problem! As we progress through the day’s lessons, we can check off completed tasks. We can also mark them as in progress. One of the other features that really surprised and impressed me is the rescheduling helper. When a task for the day or week doesn’t get done, a popup will appear on the next day with a list of the uncompleted lessons. You can choose to reschedule some or all of the tasks or ignore them, then click a button to make it so. This is SO helpful for keeping lesson schedules up to date in a quick and easy way. There are so many features that I really can’t list them all. But here are a few of my favorite things about Homeschool Planet. I do highly recommend testing it out with their FREE trial to explore the features yourself! Of course, Homeschool Planet is still a digital planner so I can’t escape the necessity of having to actually open it and log on. (haha) But they even addressed that by sending me emails, which showed up on my phone, to remind me to do my scheduling and update for the week. Very helpful! I do think that Homeschool Planet would be even more useful to me as my kids grow older. Right now they are all 8 and under, and aren’t online themselves. But as they do go online and become more independent, I would be able to more fully use the amazing features provided such as reports, sharing calendars, sending texts, reminders, and to do lists, and so on. With 6 kids in the household, these things will save a homeschool mom’s sanity as they all start doing their own thing! 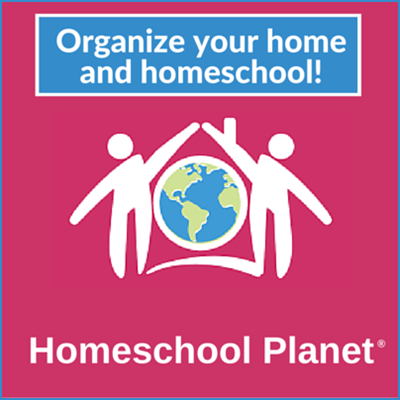 Homeschool Planet provides an excellent, feature-rich online homeschool planning solution. It is so customizable and meets so many needs that the price definitely seems worth it! I highly recommend signing up for their FREE trial and giving a good go of it yourself. Be sure to make use of their great support for help tweaking it to meet your needs! I started my 30 day trial about a week ago and have started setting up my year and putting in lesson plans. There are many features that I like but the one that caught my eye are the widgets you can add to your homepage. They can be a weather report, bible verse of the day, or a few other things. I like that the first thing I see is a bible verse to start off my day. I may even make this my verse to memorize for the week. The rescheduling helper has changed my life!! My kids are 9 and 7 so I print them weekly checklists organized by day. Those go in their binders and they know what work to complete each day. Thank you, this is a great giveaway idea! Wow this does look great checking it out now. I have been looking at HSP for a year now. It looks like an amazing program, but out of our budget range. Would love to win this. Thanks for the opportunity. Sounds like a great product. I would love to check it out. 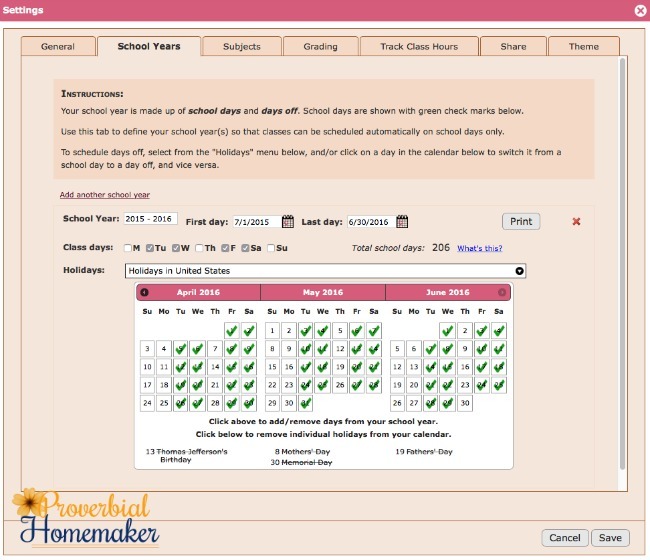 Have you looked at homeschool tracker online? I narrowed it down for me to that one and homeschool planet, but would be interested in knowing opinions about the two. They seemed similar in what they do. Thanks! I haven’t tried it but looked at it briefly. I don’t believe it offers mobile view, and someone said it only works for windows (I use a mac) but I’m not sure how current that info is. They do look similar. 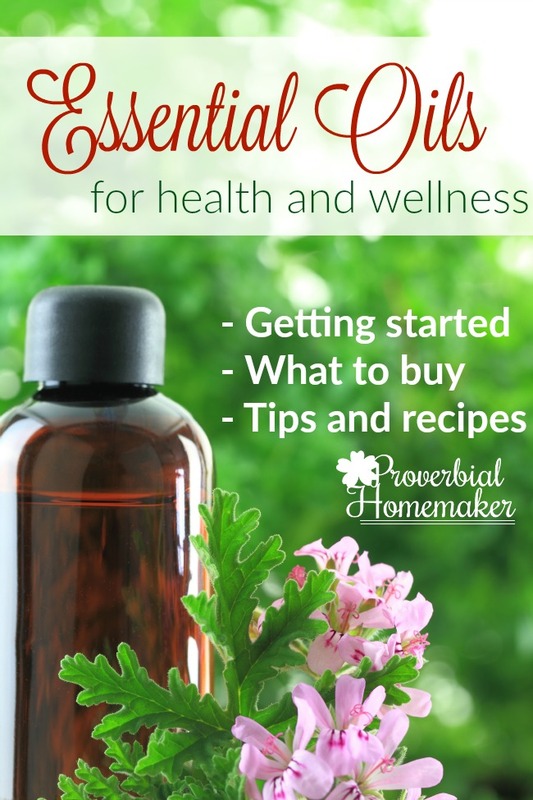 I would just try both and see what works best for you before making a purchase! The whole program looks great! I’ve been looking at Homeschool Planet for over 6 months. It looks amazing. Maybe this year I’ll give it a try. You are awesome! Thanks for all you do! I love having a paper planner, but am terrible about keeping up with it. I definitely use our electronic calendars more. Similar current life situations, so your review was very useful. I think I will try it, even if I don’t win it! The rescheduling feature looks great. and the reminders to schedule!! I’m not a “techie”, but this looks extremely helpful. Great giveaway!! I love the scheduling reminders and the rescheduling option. I have looked at this before, but I have never tried it out. Definitely worth a try!! Thanks for the giveaway. I really love the online planner and love that it is easy to use. This looks like a great giveaway to keep us organized and on track. this is definately something I could use!! Thank you!! i like how you can easily adjust assignments when things don’t go as planned! I’m currently trying this program. I’ve been a dedicated paper gal, but I’m trying to see if it would work for our family. I’m really enjoying the ability to move things around as plans change, and the daily checklists. I’ve used Homeschool Planet and love it, but would love to be able to renew my account. I signed up for the 30 day trial and so far it seems like a planner I could use. I’m mostly a paper planner type of mama but this might change things! Thank you for the giveaway! I like that each of my kids can have their own login. I also like that I will be able to view all of the calendars at a glance to make planning easier for all of us. You provide so much needed information and freebies! This giveaway will be such a blessing! Just getting back into homeschooling after two years at public school. 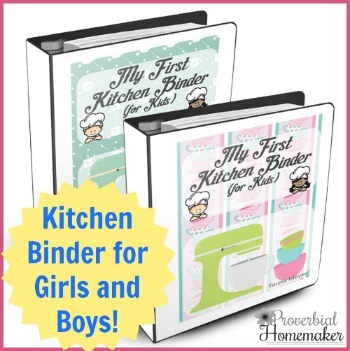 I have seen the planner video on Homeschool Planet and I am considering using it for our family! I like that it reminds me to reschedule or cancel assignments if they have not been completed. I like that it sends out a daily digest email reminder. I also really like that each kiddo can have their own log in and check things off themselves as they complete them, and that I can put links and resources right into the assignment. Sounds great! I like the fact that you can print it out and also that you can forward unfinished work to another day. Looks like something that would definitely make my life simpler and more sane! lol Thanks for offering the chance to win! I need something flexible and the idea of being able to reschedule things (without erasing and erasing and rewriting in our paper planner) is kind of exciting! Thanks for the giveaway! Any help with organizing is grear! I will be team teaching my brother with my mom so I like the schedule being online so we can each see what he needs to do. I’ve been looking at this for a couple of months. What a wonderful give-away.